What is Yoga to me? Summer is not over yet…. I spent last weeks in southern Spain, Costa del Sol that is. Wonderful period; I spent good quality time with my kids and whole the family from different locations, met lots of new and fascinating people, practised asana and pranayama every day by the pool and in the pool, “found” a new yoga studio Studio MindBody in Fuengirola, visited the beautiful Buddhist Stupa in Benalmadena, inaugurated some business, and in bonus, got a nice sun tan. This year’s break was probably the greatest ever, so far. And now I am fully charged with vitamin S(un), and D, and L(ove), planning the coming year. That will include, in addition to regular yoga classes and workshops on yoga and health, a group for metabolic programme and yoga holidays in Costa del Sol. I hope that will interest you, let me know sending your thoughts with the form below, or contacting me directly. But as Summer is still hot and over yet not, before the start of the season 2015/2016, there is still yoga in this August. The Saturday Morning Yoga will pick up on August 22. Welcome! 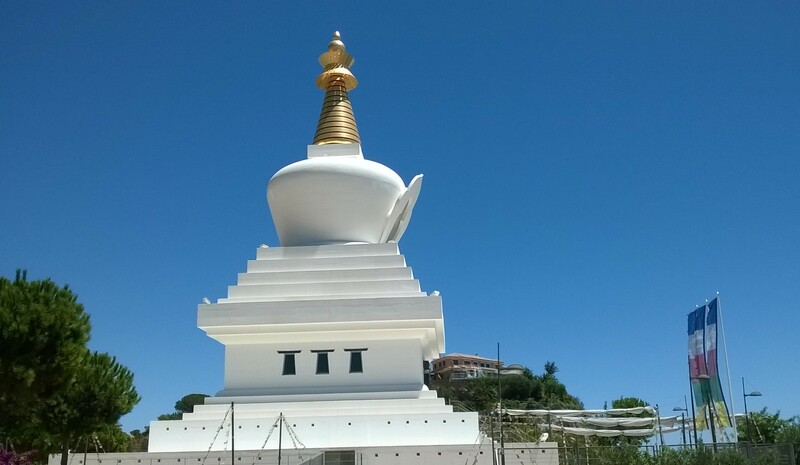 This entry was posted in Blog posts, Classes, Holidays Costa del Sol, Uncategorized, Yoga and tagged Benalmadena stupa, Buddhism, Costa del Sol, Saturday Morning Yoga, Season 2015/2016, Studio Mindbody, weekly classes, Yoga holidays. Bookmark the permalink. Saturday Morning Yoga 10.00-11.30 @Shala Yoga Brussels, Rue Alphonse Renard 55, 1050 Ixelles. Louise on Start planning 2018….